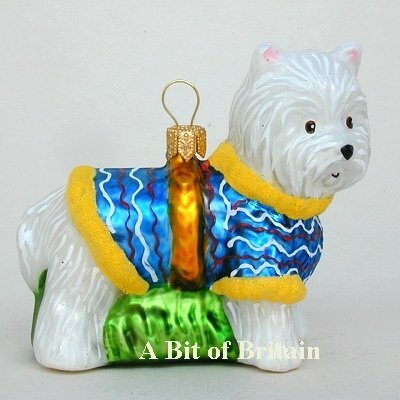 A selection of fine blown glass Christmas ornaments featuring some of the dog breeds found in the UK. 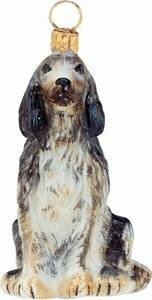 Our family has owned its share of such breeds with Bull Mastiffs, Mastiffs, Cairn Terriers, Setters and the like being part of my childhood. A lot of fond memories come with their matching ornament on my tree. Add some to your tree from our selection below. Please note there is a second page of ornaments in the menu to the left. 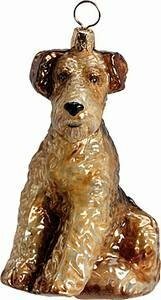 Bull Terrier Tri Color Dog Ornament. 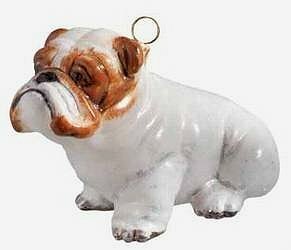 Bull Terrier White Dog Ornament. 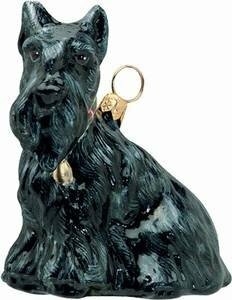 Kerry Blue Terrier Dog Ornament. 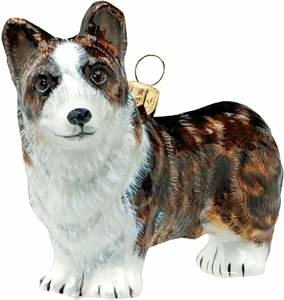 Welsh Corgi Cardigan Dog Ornament. Hand blown and painted glass imported from Poland. One of my Mums friends had westies and would have loved this ornament as she adored her dogs and all things westie.